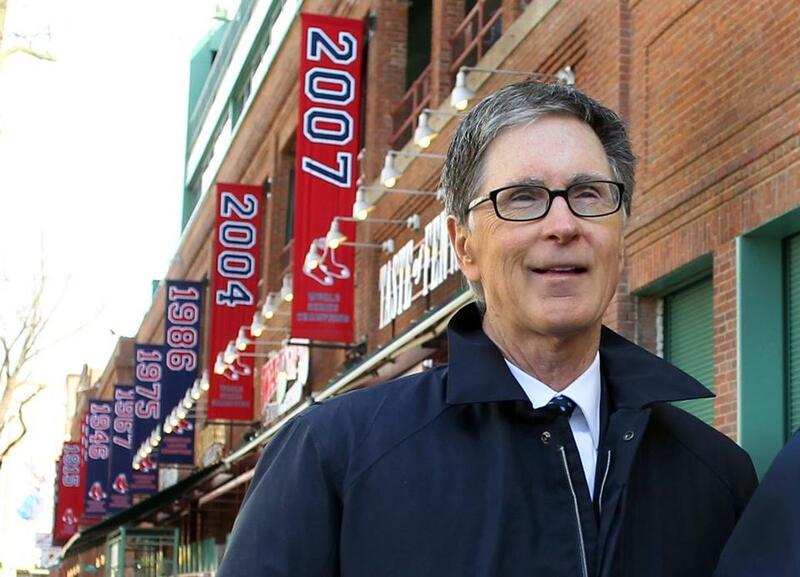 Boston Red Sox principal owner John Henry. Boston Red Sox principal owner John Henry entered into an agreement early Saturday to buy The Boston Globe, a deal that will put the 141-year-old newspaper, its websites, and affiliated companies into the hands of a personally shy businessman with a history of bold bets. The impending purchase for $70 million in cash marks Henry’s first foray into the financially unsettled world of the news media. Henry, 63, made his fortune in investment funds and has built a sports empire that includes the Red Sox and New England Sports Network, as well as the Liverpool Soccer Club and Roush Fenway Racing, a NASCAR team. “We are excited about the prospect of working with John Henry and committed to giving Boston and New England high-quality news, information, and entertainment for years to come,” said Christopher M. Mayer, Globe publisher and president of New England Media Group. A Quincy, Ill., native and a son of soybean farmers, Henry turned his knowledge of agricultural crops into a complex commodities-investment business, managing $2.5 billion at its height. Since Henry bought the Red Sox with partners Tom Werner and Larry Lucchino in 2002, the team has won two World Series championships following an 86-year drought. Henry, who lives in Brookline, said he would disclose more details about his plans for the company in coming days. “This is a thriving, dynamic region that needs a strong, sustainable Boston Globe playing an integral role in the community’s long-term future,” he said. In buying the Globe and its websites, BostonGlobe.com and Boston.com, Henry bested a field of more than a half dozen bidders, including members of the Taylor family who sold the Globe to the New York Times Company in 1993. Other bidders included local business people and West Coast investors. As part of the agreement with the Times Co., Henry also will acquire the Worcester Telegram & Gazette newspaper and its website, as well as the Globe’s direct mail business and a 49 percent interest in the Metro Boston commuter newspaper. “We’re delighted to have found a buyer in John Henry, who has strong local roots and a deep appreciation of the importance of these publications to the Greater Boston community,” Times Co. chief executive Mark Thompson said in a statement. Globe publisher Christopher Mayer, in a note to the staff, thanked the Times Co. for its stewardship and said he looked forward to working with Henry. “I have no doubt that we will turn our full attention to moving our business forward and fulfilling our enduring mission: to be a voice for New England through our award-winning journalism across all mediums and platforms,’’ Mayer said. The sale is expected to close in 30 to 60 days. Bill Grueskin, dean for academic affairs at the Columbia University Graduate School of Journalism, said the Globe is likely to benefit from a local owner. “Having somebody with roots in the community and an intrinsic interest in local coverage and local government is better than having some from out of town,’’ he said. “I have no doubt this will be a winning combination,” Menino said. The deal brings under one owner two Boston institutions that have been connected before. The Times Co. owned a minority 17.5 percent stake in the Red Sox from 2002 to 2012, reaping a $150 million profit on the investment. During that period, the Globe continued its normal coverage of the team and routinely disclosed in news stories that the Times Co. was a partial owner of the Red Sox. The Globe-Red Sox history also goes back further — all the way to the early 1900s, when members of the Taylor family owned the Red Sox and built Fenway Park. Even so, the deal is sure to spark debate in journalism circles and among Globe readers about whether the Globe’s coverage of the Red Sox, which regularly includes critical commentary, will be affected. The Times Co. is selling the Globe for far less than the $1.1 billion it paid for the paper in 1993, when the business was highly profitable and the Globe fetched a record price. The Times Co., like other business owners, withdrew a large stream of cash from the Globe during its ownership — a sum at least equal to the purchase price, according to several former high-ranking Globe executives. Henry would be taking ownership of the Globe during a period of dramatic changes in the newspaper industry, as print advertising revenues at papers nationwide continue to slide and readers increasingly want to consume news online, where revenues are improving but are still much lower than traditional newspaper advertising. Many newspaper transactions over the past decade have been tumultuous, as new owners took on massive debt at the same time the business was struggling. Major news outlets such as the Chicago Tribune, the Los Angeles Times, the Philadelphia Inquirer, and the Minneapolis Star Tribune have ended up in bankruptcy, amid deep cost cuts and layoffs. In 2009, the Times Co. tried to sell the Globe, but it took the paper off the market because it did not fetch the price it was seeking. It received wage concessions from the newspapers’ union members and management after threatening to shutter the paper because the company was losing money. The Globe’s financial health is stronger now, but the company is still working to turn around declining advertising revenue, a problem that persists industrywide. After many years of investment success, the funds managed by John W. Henry & Co. began to falter after the financial crisis. Henry shut down the hedge fund firm last year, although it continues to manage his personal money. While Henry has shown himself to be a long-term investor, how he plans to run the Globe is still largely unknown.